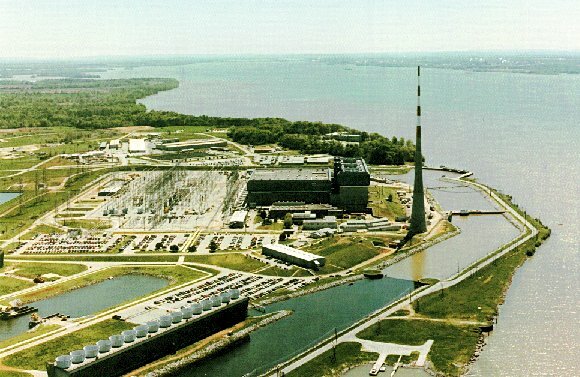 In 1985, the facility was shutdown during a review of TVA's nuclear power program. Units 2 and 3 are currently operational. 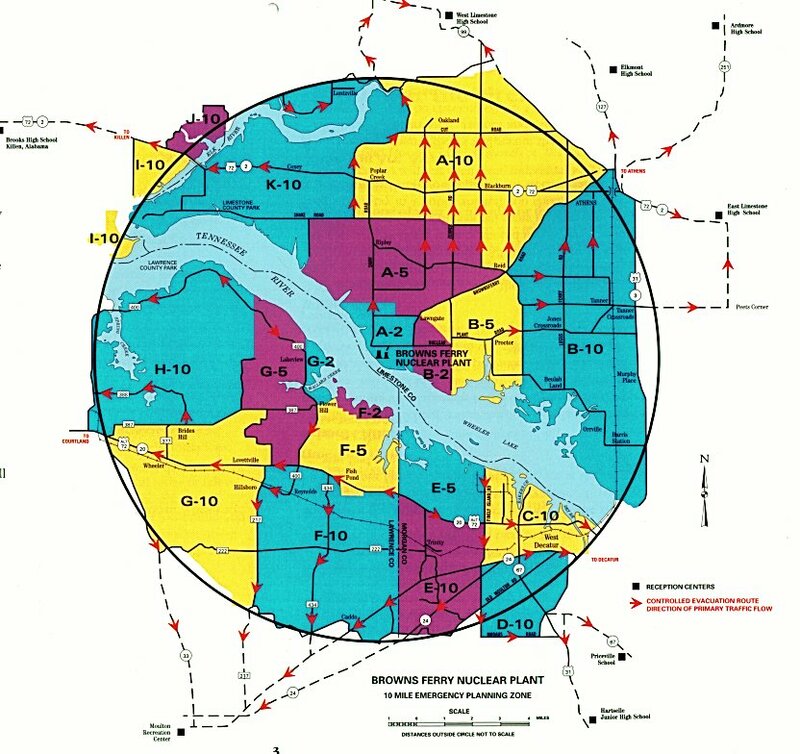 Unit 1 was shutdown after a fire in the 1970's. The unit is now in the process of being upgraded so that it can be returned to service. 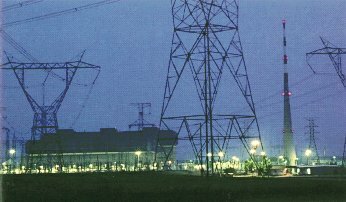 In the photo, the substation is on the left side of the plant. 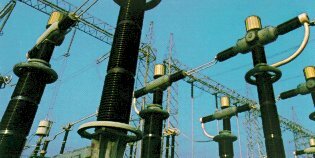 The tall stack is used to exhaust gases from the offgas system, which controls the discharges from the plant's air ejector system. The mechanical draft cooling towers in the foreground can be used to reduce the thermal discharge to the river by transferring some of the heat to the air. 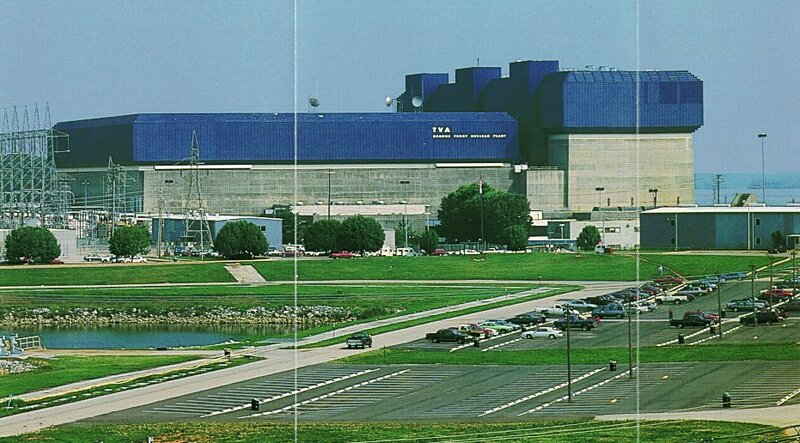 TVA also operates the 2-unit Sequoyah PWR plant at Soddy-Daisy near Chattanooga, Tennessee and the Watts Bar PWR facility. 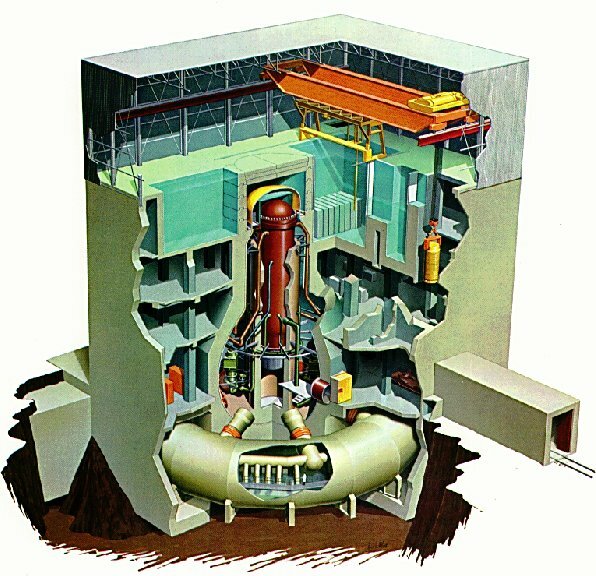 Watts Bar is the most recently completed nuclear reactor in the United States. Click the link for other inside and outside photos of BWR plants.